Cricket is never free from controversy. Time and again the players land themselves in trouble because of their conduct. From fixing matches to a violent exchange of words, there are innumerable reasons behind the ban of some of the best players. However, there are times when some players were unexplainably suspended for a match or two, sometimes the whole series. No one could decipher the logic behind these decisions. Here are five instances when the players were banned for most bizarre reasons. 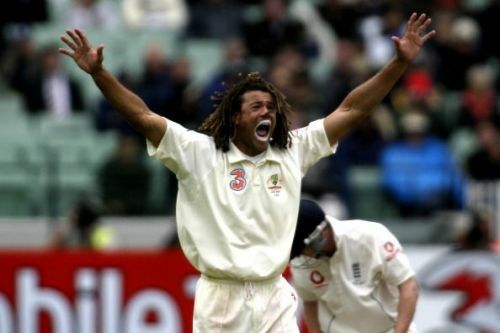 Although Symonds has been open about a soft spot that he holds for fishing, it was probably not the best idea to mix it with cricket. Back in 2008, this Australian all-rounder missed a team meeting when he decided to go for fishing. Ahead of Australia's a three- match ODI series against Bangladesh, the squad was called for a meeting that was followed by an optional training session. Symonds was not aware of the meeting and he left early to comply with his fishing plans. The all-rounder did not receive a hearty welcome post this incident. He was sent back home with a month in his hand to prove his commitment to the Australian team. It was decided that Symonds will be given some time off the field so that he can get his head back into the game. His presence in Australia's match upcoming fixture against India was also unsure due to this incident.